Greetings from Dr. Cynthia Sclater, Dr. Rhiannon DeLeon and the Gentle Family Dentistry team in Dunkirk, MD. We are welcoming new patients and look forward to helping your entire family with their oral health. Our mission is to provide superior dental care that is pain-free in a relaxed environment. We provide our patients with the latest dental technology. Gentle Family Dentistry utilizes laser family dentistry, laser periodontal therapies, low radiation digital x-rays, 3D digital scanning and utilize intra-oral cameras for advanced diagnostics. Our doctors are laser certified, which means they can use the WaterLase dental laser to treat many dental concerns. For some patients and procedures, it is even possible that we will not need to use any anesthetic. We utilize CEREC technology for beautiful cosmetic results. Just a few benefits of CEREC technology are single-visit convenience, hi-tech accuracy, metal-free restorations and extreme precision for long-lasting natural porcelain results. We offer Invisalign and ClearCorrect...the subtle way to achieve a straighter smile with clear aligners. In addition, we offer BOTOX®, JUVÉDERM® and KYBELLA® as a dental cosmetic enhancement. 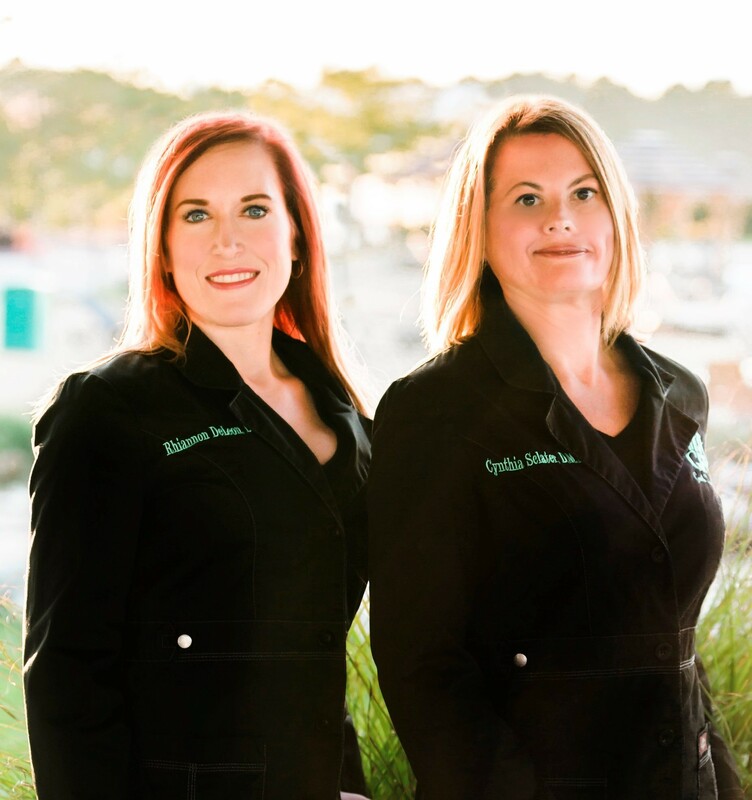 Dr. Cynthia Sclater and Dr. Rhiannon DeLeon are dental care professionals dedicated to providing patients with painless and gentle cosmetic, family and general dentistry. Located in Dunkirk, Maryland the office serves Calvert County, Southern Anne Arundel County and neighboring cities such as Huntingtown, Owings, Sunderland, North Beach, Chesapeake Beach, Prince Frederick, Lothian, Harwood, Friendship, Tracys Landing, Deale, Churchton, West River and Shady Side.